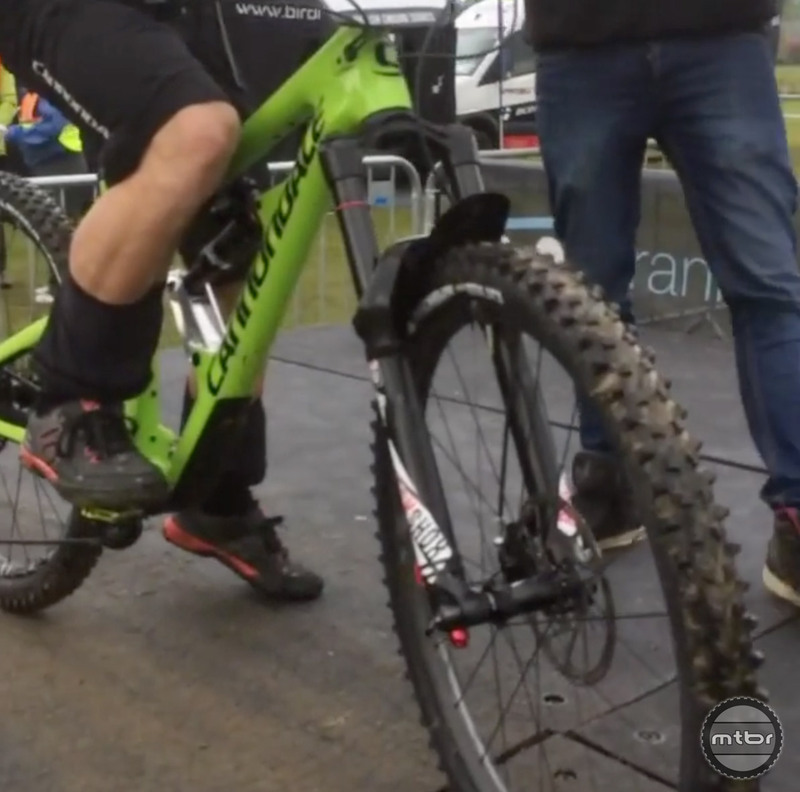 Jerome Clementz was racing aboard a new prototype Cannondale Jekyll at the British Enduro Series last weekend (click to enlarge). 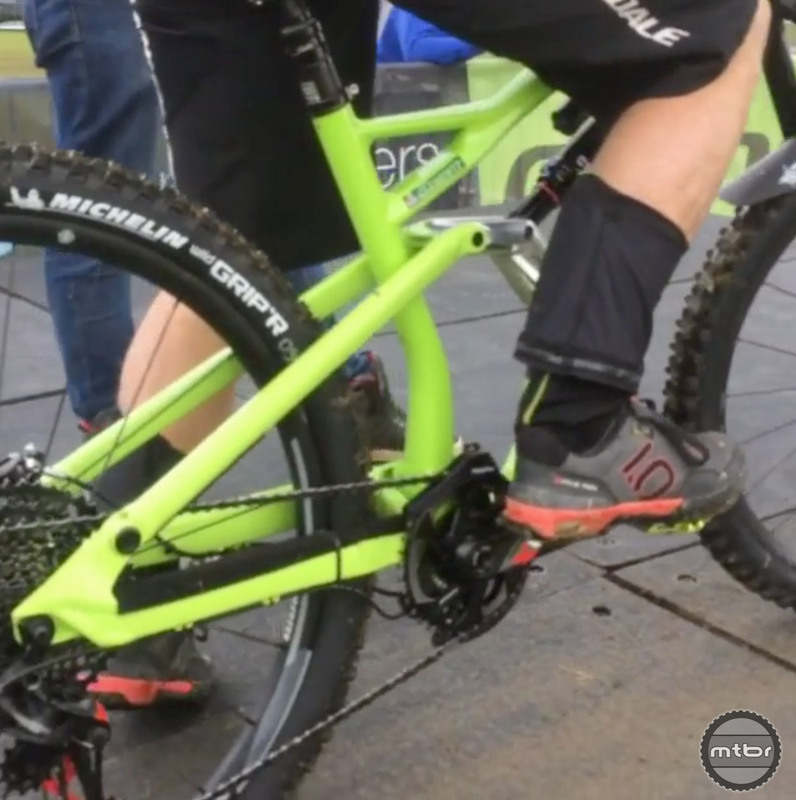 If you had asked me last week what the newest generation of Cannondale Jekyll might look like, the words “longer” and “slacker” would have been at the top of my list. That’s not because there’s anything wrong with the current geometry, as the bike has won numerous EWS events, but more so because of current trends in the mountain biking world. The new prototype spotted under Jerome Clementz was using a Rockshox Super Deluxe, rather than a Dyad Pull Shock (click to enlarge). While the next generation Jekyll may still get longer and slacker, what is more interesting is what it might be missing. The current model uses something called a Dyad rear shock, that allows the suspension to be effortlessly adjusted between 90 and 160mm of travel. Swapping between the two modes also adjusts the head tube angle, bottom bracket, and suspension ramp-up to help improve either climbing or descending performance (for a full breakdown of the tech, check out Francis’s review here). 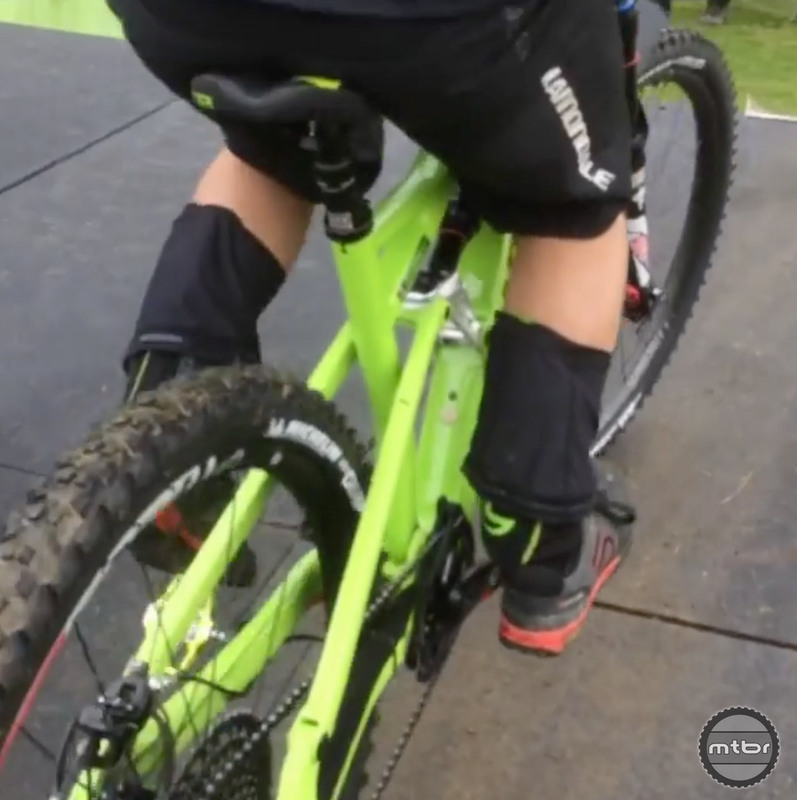 The Dyad shock was conspicuously missing from the carbon prototype being raced by former EWS World Champ Jerome Clementz this past weekend at the British Enduro Series. 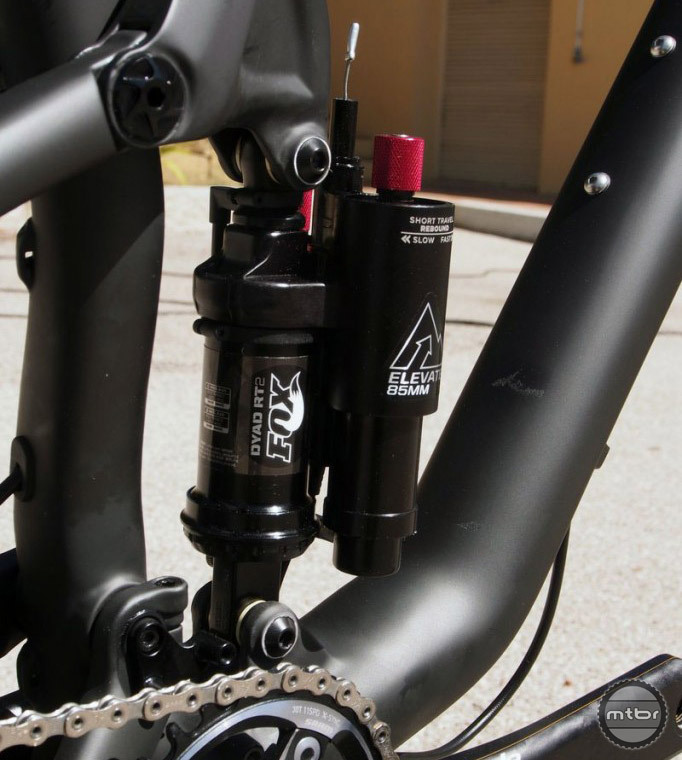 Instead, the frame was set up with the recently released RockShox Super Deluxe rear shock. And if I were a betting woman, I’d wager the frame was also using a metric shock measurement. The one downside is that there still does not appear to be enough room for a water bottle inside the front triangle (click to enlarge). The only thing that appears to carry over from the previous model (aside for the trademark green livery) is suspension platform, which is still a linkage driven single pivot. The Enduro World Series will pick up again next weekend after a long hiatus, so stay tuned for more information regarding this prototype. 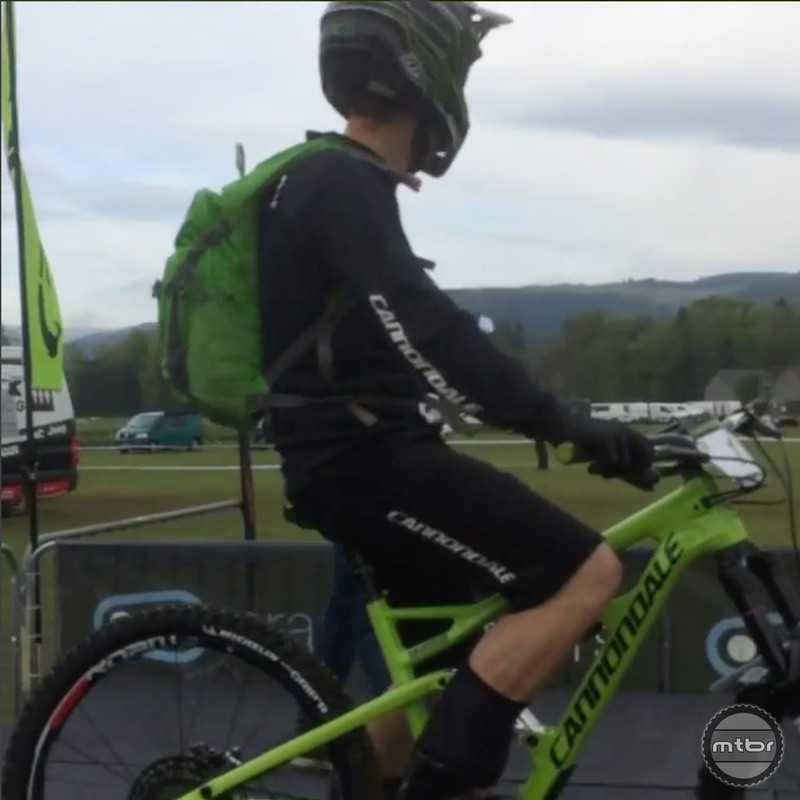 Jerome Clementz was racing aboard a new prototype Cannondale Jekyll at the British Enduro Series last weekend. 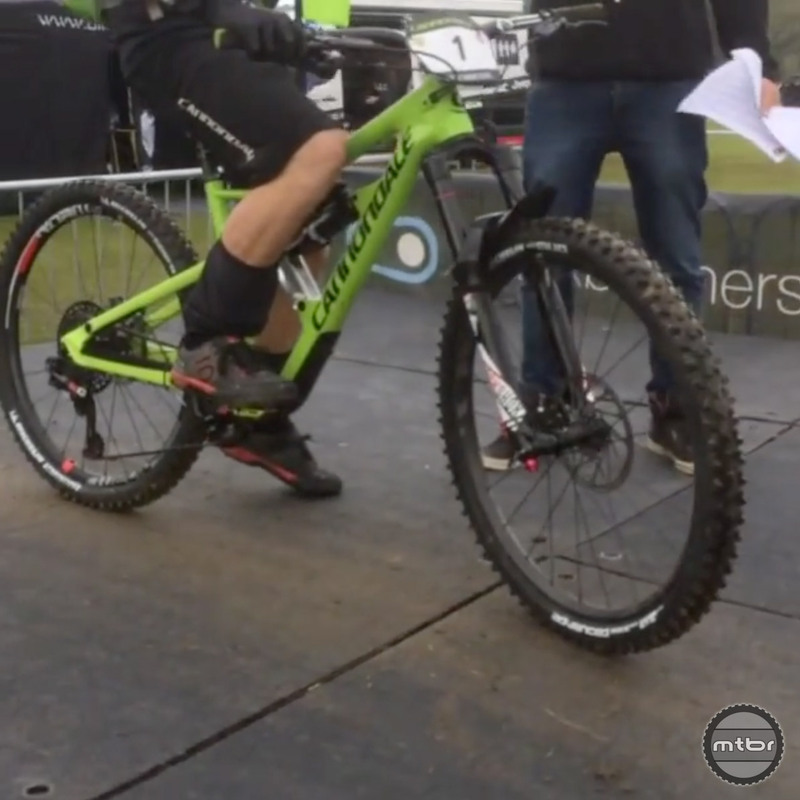 The new prototype spotted under Jerome Clementz was using a Rockshox Super Deluxe, rather than a Dyad Pull Shock. The one downside is that there still does not appear to be enough room for a water bottle inside the front triangle. Cannondale employs the Dyad design across a number of it’s full suspension offerings, including the Trigger. Could they be moving away from this shock platform altogether in the future? Someone tell Cannondale that the patent on the Horst Link has expired.